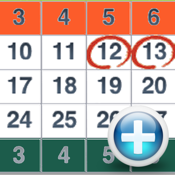 Desi Calendar Plus provides a view of all Indian festivals in an easy to use Calendar format. Now you would not miss any Indian festival and would not have to go through multiple web sites to find the dates for each of the festival. Desi Calendar does it for you. Desi Calendar Plus also educates users about various festivals/holidays through interactive quizzes. - Festivals listed for each year in the List tab. You can navigate between years to see festivals for the respective year. - Diwali Festival quiz to test your knowledge. It also provides a means to understand the meaning and significance of Diwali. - Replublic Dat and Gandhi Jayanti quiz. Please email fingertips.apps@gmail.com with any problems or suggestions.